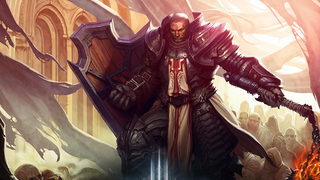 Here's Amiar with his Crusader, doing some insane runs in Diablo III: Reaper of Souls. He manages to clear endgame content in 13 minutes on the hardest difficulty, while using only one skill: Blessed Shield. Knowing how hawk-eyed Blizzard is when it comes to nerfs, this might be the next on the list.